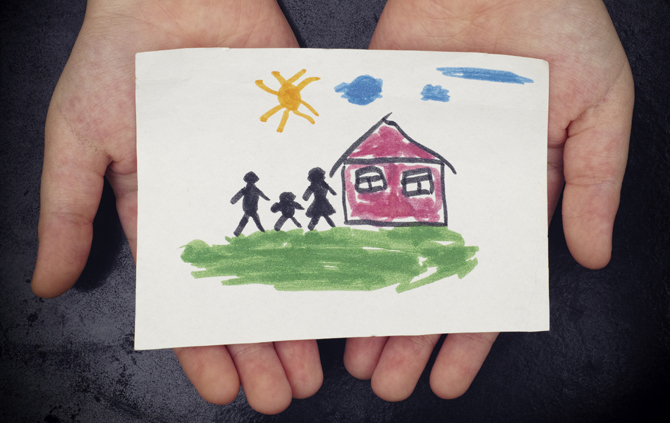 Advocacy for Children and Families offers post-adoption counseling for as long as you need it. We are here to help you feel emotionally and psychologically healthy. Although coping with adoption may be difficult, you can feel comforted by the fact that you made a selfless and admirable decision to put your child’s needs first. In most cases, birth parents and adoptive parents will exchange photos and letters through ACF about how and what the child is doing as he or she grows from infancy to adulthood. Or, you may choose to have a more open adoption and communicate directly with the adoptive family by email or letter. Some birth and adoptive families establish lasting relationships so that the child can continue to know his/her birth family. Most women experience a great deal of comfort knowing the baby is in a loving, secure, financially stable adoptive family that they personally selected. It is important that you disclose your family’s medical and social background with ACF or your child’s adoptive parents directly. This background includes such information as how you grew up, if you have sisters and brothers, if you have other children, your education, your interests and talents, and your medical history, as well as that of your family. If possible, the baby’s father’s background information should also be disclosed. This information is important to adopted children, allowing to better understand who they are and how they came to be. Adoptive parents will share this information with the child as he or she grows up. Some women choose to write a letter to the baby so that he or she can read it in the future when the time is right. In the state of Florida adoption records and files are sealed and confidential. An adult adoptee may petition the court to open the file and present their reasons for the request. The file cannot be opened unless approved by the court for good reason, and the court does not share identifying information unless the birth parent can be reached for their approval for the court to disclose their identity. Many states have adoption reunion registries available to birth parents, adopted children and adoptive parents. Florida’s Adoption Reunion Registry (FARR) was established in 1982 by the Florida Legislature so that people affected by adoption might have the opportunity to reunite. Click here to read more about FARR or call 1-800-96ADOPT. Can I Get My Baby Back? Once you have properly executed the consent for adoption, it is valid, binding and irrevocable and cannot be withdrawn unless you can prove to the court that it was obtained by fraud or duress. A consent for adoption signed after the child is 6 months of age, is valid from the moment it is signed; however, it may be revoked up to three days after it was signed. ACF attorneys will carefully explain this process to you before you make your final decision. Needless to say, you should never sign a document you do not understand. If you’re struggling with whether or not to place your child for adoption, it may help to hear from other women who have been in your shoes. Read testimonials from other birth mothers ACF has assisted in the adoption process.